With social media, it’s all too easy to portray an idealistic lifestyle. The less-than-perfect aspects are hidden out of shot and never shared online; helping to build an image of someone who never puts a foot wrong and lives a life to aspire to. It’s disingenuous. It happens in both the minimalist and the zero waste community. There are well-known faces who encourage you to believe they have it all sorted out; they never buy plastic or create waste, and their homes are immaculate 24/7. This only serves to create a perfectionist environment where everyone participating always feel they are falling short, not doing their best, because they can’t achieve zero. We have to share the truths so we can better understand how we can move forward. Ignoring the barriers to living a considered lifestyle doesn’t make them go away, it just hides them and makes people believe the impossible is possible. I want to talk about the truths of zero waste and lessen the guilt you might feel about some of the choices you make. The term ‘zero waste’ was never intended for personal use. In the 1970s, Zero Waste Systems Inc. called for the redesign of industry and commerce products so that no waste is generated. It was about the supply chain not personal consumption. 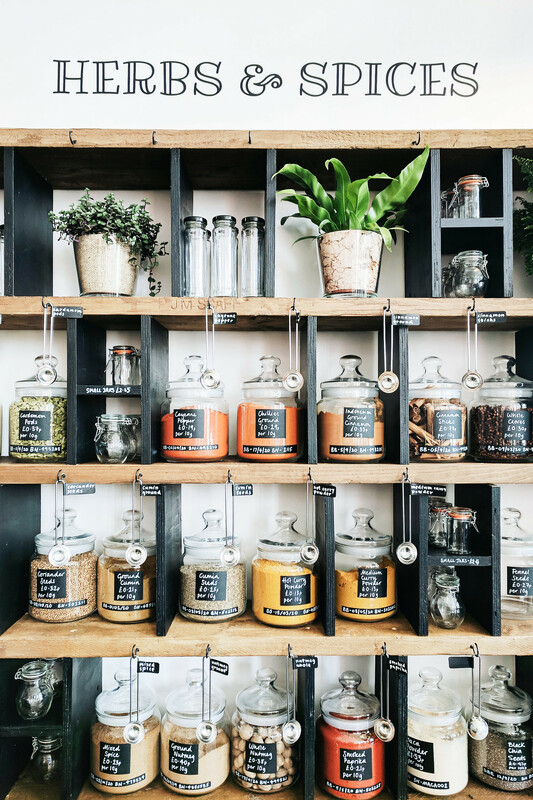 ‘Zero waste' was picked up in the early 2000s and gradually became a lifestyle movement where individuals took on the personal responsibility of avoiding and reducing waste. Know that: no one is ever zero waste. It’s not a realistic or even an achievable goal. The systems that are set up do not allow us, as consumers, to completely avoid waste. Even the biggest names in the zero waste community who claim they can fit all their trash from the past decade into a single mason jar are not 100% waste-free, despite what they might lead you to believe; their waste is simply further up the supply chain. Zero waste isn’t achievable but low waste is. We can lessen our impact through being mindful of our consumption and waste but we shouldn’t be wasting energy striving for an impossible goal. A lot of things you need and want come in packaging you cannot avoid. It’s completely out of your control. You should never feel bad about having to make the decision to buy something in plastic when there are no affordable or realistic alternatives available to you. It’s not your fault; the infrastructure from the companies is not set up for you to make these decisions, it’s out of your hands. Often there isn’t much choice except: buy it in plastic packaging or don’t buy it at all, and that really isn’t a fair choice, is it? In many cases, you don’t have the option to make a low waste, waste-free decision. There are some things you just cannot avoid and it’s not your fault if you have to buy something packaged in plastic. We find ourselves frustrated that we can’t achieve this goal of ‘zero waste’ despite trying our best to incorporate changes to lessen the impact we have. Every time we buy plastic or create waste, we feel we’ve failed. The goal of zero waste often focuses on the failures instead of the successes; the small changes we make to our lives are important and they do make a difference. But we have to remember: unless the big companies change, our options for a low waste solution will always be limited. The truth of the matter is: we often have to inconvenience ourselves in order to live a low waste lifestyle. Sometimes it's a slight inconvenience we can put up with, like splitting our food shop between a couple of stores; other times it’s a huge habit shift, like composting our food waste, that isn’t realistic to adopt. Living a low waste lifestyle is time consuming and occasionally more expensive. It might involve visiting three or four shops to pick up supplies, comparing options for which product to buy, or spending more money on produce to avoid packaging. Paying for the privilege, whether in time or money, of plastic-free packaging is unacceptable. 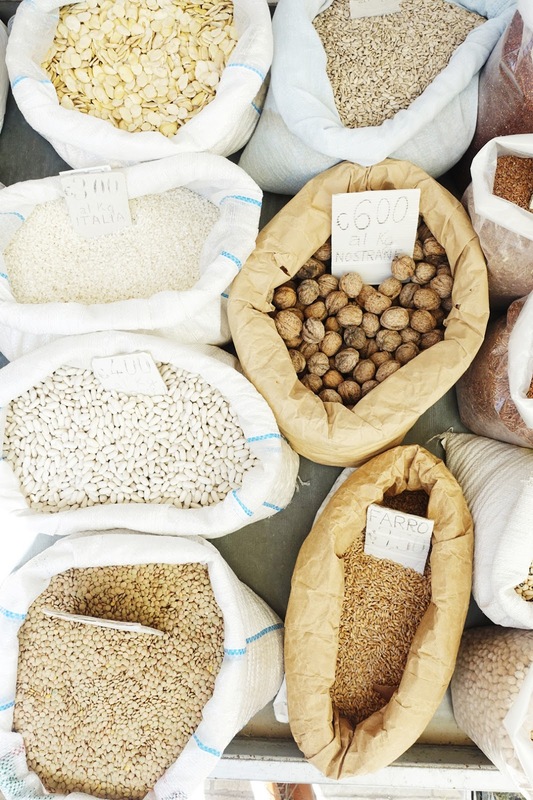 You shouldn’t have to pay a lot more to buy groceries without plastic or add an extra hour onto your shopping trip just to access plastic-free products. The system is broken. When fresh produce packaged in plastic is significantly cheaper than loose, how can we criticise someone for making the choice to buy the former? We can’t. Even a few pence extra on top of each item is a significant price increase that eats into the food budget. Many people do not have the extra time to visit multiple shops in order to pick up all the supplies they need. Intention is so much more important than perfection. You should not be expected to complicate your life just to avoid plastic or excessive waste. Do the best you can with what you can, that’s good enough. That’s not to say it isn’t important to try our best to lessen our impact on the environment but reducing our individual creation of waste only does so much. So much energy is spent reducing waste, a lot of which is out of our personal control, and trying to live a perfect ‘zero waste’ lifestyle; that energy could be better spent elsewhere, like pushing for change further up the supply chain. When we’re so focused on the tiny details, we forget to look at the bigger issues. A lot of focus is on the personal creation of waste rather than the systems that cause us to create it. We can stop using plastic straws, go out of our way to buy package-free products, use refillable water bottles, and make our own waste-free household products; but that doesn’t do anything to change the systems that continue to produce the waste we’re trying to avoid. Are homemade household and beauty products worth the time invested in making them? Or is your time better spent campaigning for companies to change? Yes, if you are able, you can do both. It’s just important to remember not to be blind-sided by the smaller tasks of living a zero waste lifestyle. We can have more impact if we demand change from those with more influence: the big companies who make the products we need. When I talk about ‘zero waste’ or the ‘low impact lifestyle’, I want to be completely transparent about my own situation so I don’t portray unrealistic goals. I have access to package-free markets and a bulk supermarket, and my lifestyle enables me the time to shop at both. That’s a privilege I’m aware many people do not have. I don’t live a waste-free life. There are things I buy that are packaged in plastic: my pet’s hay; the compost I buy for my plants; beauty products I don’t have the knowledge to make; gifts for family and friends. I don’t feel guilty about buying these things and neither should you. Waste is unavoidable. I want people to feel welcome and included in this movement, whether minimalist, zero waste, or veganism, so that we can all do our best to live more considered lives. Unrealistic expectations and perfectionist goals only pushes people away and deters them from trying. Small changes make a difference. Know that whatever you’re doing, big or small, to lessen your impact on our shared environment is only ever a positive thing. 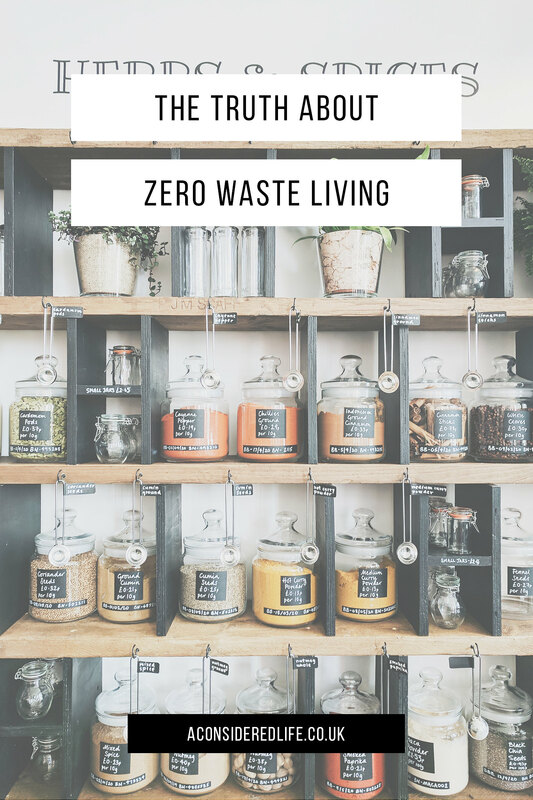 What are your thoughts on 'zero waste' living?